Rags To Riches went close to a big-priced winner last week and it is sticking with golf even though Luke Donald blew his opportunity to win the RBC Classic at odds of 21.00. Golf is a sport that provides one with a chance to back live contenders at long odds and it is Cameron Tringale who gets the Rags To Riches treatment this week as the circus that is the PGA Tour arrives in the Big Easy for the Zurich Classic of New Orleans. Tringale is trading at odds of 55.00 with 888sport and Unibet to win an event that is known for throwing up first-time PGA Tour event champions. Jason Dufner and Billy Horschel have used the Zurich Classic of New Orleans to break their PGA Tour ducks in the last two years and Tringale, who has shown a distinct liking for Pete Dye’s TPC of Louisiana course, is over the odds to become the latest golfer to announce his arrival in the Big Easy. Tringale is set to make his fifth Zurich Classic of New Orleans appearance. He debuted in 2010 when he shot rounds of 69, 70, 70 and 73 to finish six under par in 28th place. He improved upon that effort in 2011, firing rounds of 72, 67, 72 and 70 to end seven under par in 18th position. And he made more strides in 2012, registering round of 65, 70, 68 and 71 to conclude 14 under par in seventh spot. He was the joint leader at the end of the first round before his relative inexperience got the better of him. He missed the cut in 2013 but not disastrously so. It was just that his back-to-back under-par rounds of 71 saw him take one more stroke than those who made it through to the weekend. The Dye-designed TPC of Louisiana track is one that results in low scores and Tringale has shown that he can finish with his four-round total having double-digit red numbers. 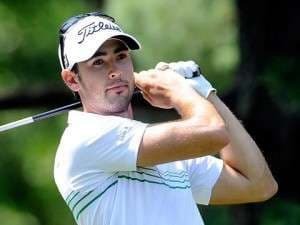 He has done that several times since turning professional in 2009, including in the 2012 Zurich Classic of New Orleans. Tringale has PGA Tour statistics that support one’s opinion that the Zurich Classic of New Orleans is a tournament in which he should prosper. He is ranked 10th for par-five scores – a key performance indicator in a historically low-scoring event – and his ranking rises to fourth if one excludes golfers not entered in this week’s competition. Another positive for Tringale is that he is used to playing golf in the south of the United States of America. He went to college at the Georgia Institute of Technology in Atlanta and it is no coincidence that both Dufner and Horschel were educated in the region. He has a degree of local knowledge. Tringale missed the cut on his last PGA Tour start, which was in the RBC Heritage. However, his rounds of 73 and 74 were far from a disaster on a course that does not play to his strengths. Besides, he hit an impressive 26 fairways out of 28 on the Harbour Town Golf Links layout, which is sufficient to one to think that he is in decent nick. He made 10 cuts on the spin prior to missing last weekend’s action, including registering a fourth-place finish in the Houston Open earlier this month. He was right in contention going into the final round but he could not go with Matt Jones over the last 18 holes. Even so it is worth noting that he did not crumble and he went under par yet again. One has some concerns about Tringale converting winning opportunities into winning realities but that is what one gets when one backs a golfer at odds of 55.00. He has the raw talent to go all the way in the sport and bookmakers are only offering long prices because he is a PGA Tour maiden.